This was from the previous week! Headed over to my usual spot at West Coast Park in the morning, with rising tides. Casted far with larger rod, baited w dead prawn from sheng shiong... meanwhile me and my friend took our smaller rods to hook up my favourites at WCP... sand whitings!! After a few hours, we no bite on the larger rod... decided to change the dead prawn to a live sand whiting Felt ambitious. Almost immediately, the line went loose! Tighten again... loosen again... tighten again... loosen again. Thats when i knew it was time to strike! It was a short struggle and i landed this little bugger. 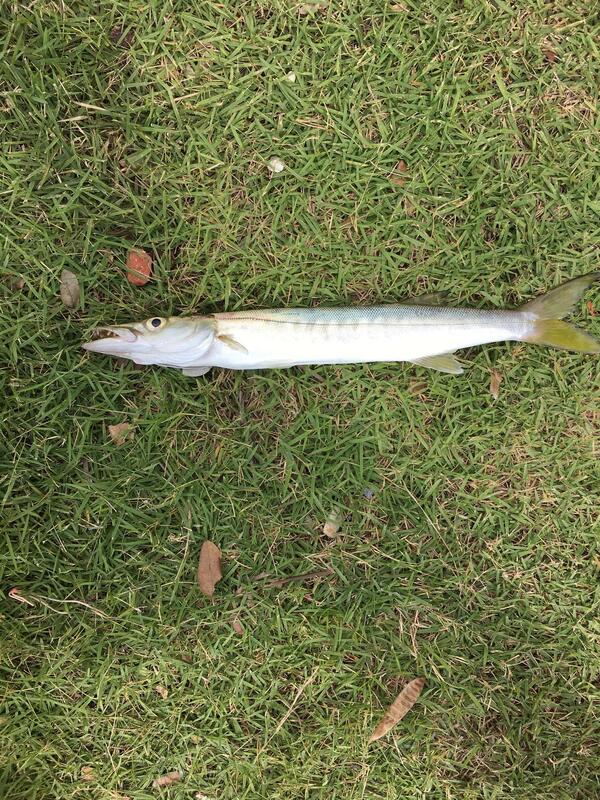 My first barracuda! Though its a small one haha! After the tides started going down, we weren't getting anymore bites and it was time to head home... total catch of the day! That's one of the most exciting catch I've seen from West Coast in a while. Those are silver biddies, one of my favourite fish. I love it steamed with fermented bean paste. Some of those whitings are pretty large size too! Good job on landing that barracuda. It goes to show that we land something big, but only if we make an effort to try for it. 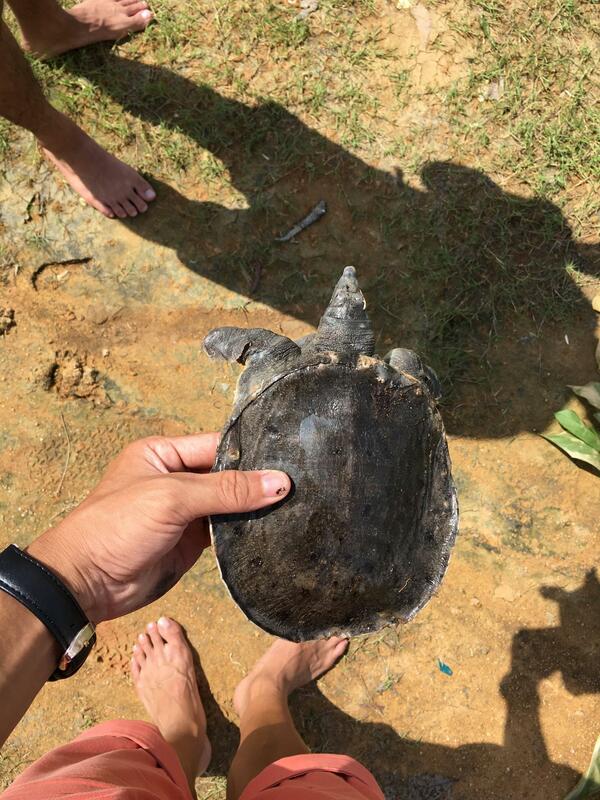 I think that soft shell turtle may have wandered off from the marsh in the park. It may also have been washed down from Pandan Reservoir when they open the flood gates. 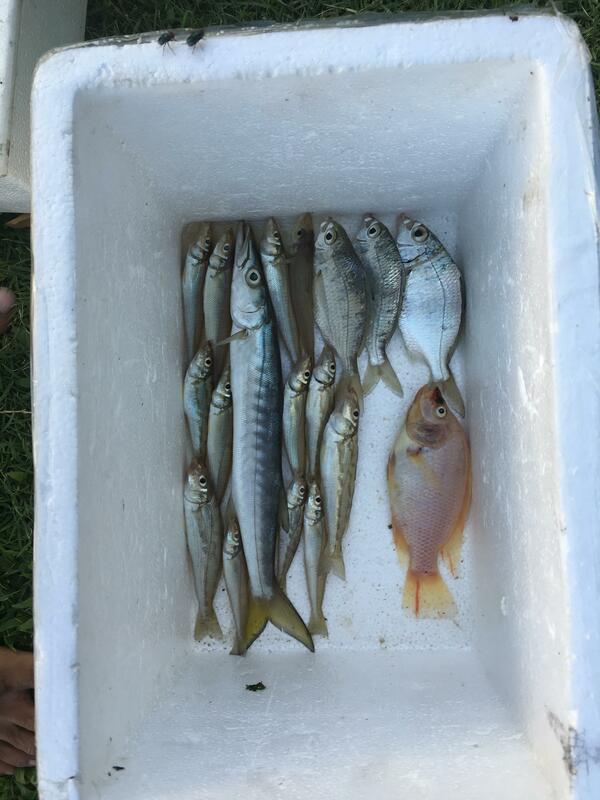 Thanks for sharing your catch with us.